Public houses, commonly known as pubs, cater to people who are looking to eat, drink, and chill with their companions for some much-deserved R and R. One thing to note about a pub is their awesome selection of food and drink options that customers are meant to consume within the premises. These offers are usually presented through a menu templates so guests are informed of what’s available and what’s hot. 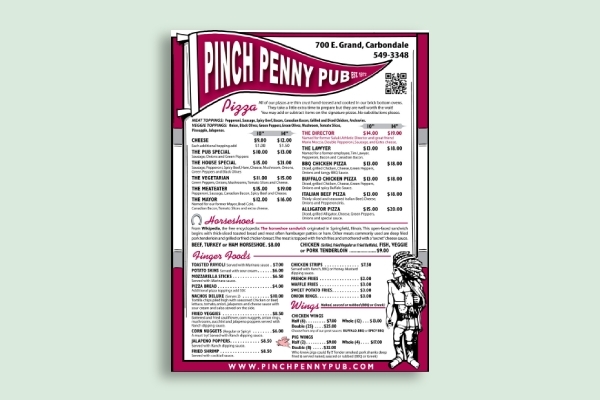 With the right strategy and approach, you can design a pub menu that will attract repeat customers and generate better sales for your business to thrive. Friday nights and Saturday evenings are often the most profitable days of the week for businesses that serve alcohol to guests. People who come to your pub are probably looking for an escape after another hectic week at work, so a few drinks and some salted crisps might be a key part of their agenda for the evening. However, you’re likely to encounter a couple of first-time customers who have no clue what to order. 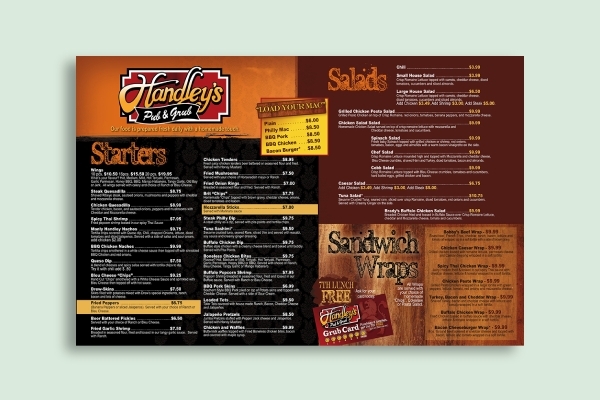 Thus, it’s important to design a food menu and a drink menu to showcase your offers in an organized fashion. Keep in mind that the only way you can convert a prospect into an actual customer is to have them order something from your menu first. If you’re new to the scene, consider using a template to give you a head start in the competition. 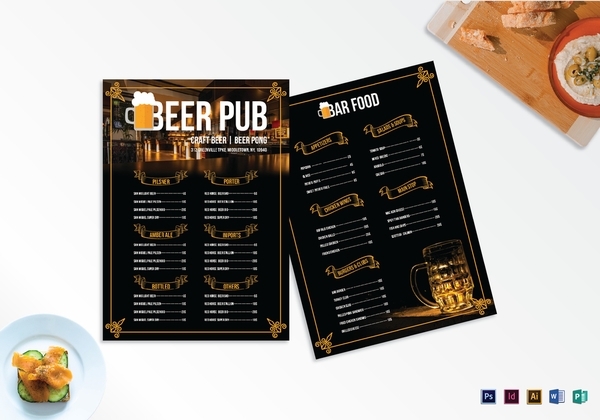 A template that’s designed to meet industry standards will help you achieve the perfect pub menu that customers won’t want to put down. Not all pubs are meant to be a late-night hot spot. In fact, having a few drinks at midday is a common pastime in many regions. This is one of the reasons why some pubs have decided to widen their menu selection by offering actual meals that go well with beers, wines, and spirits. 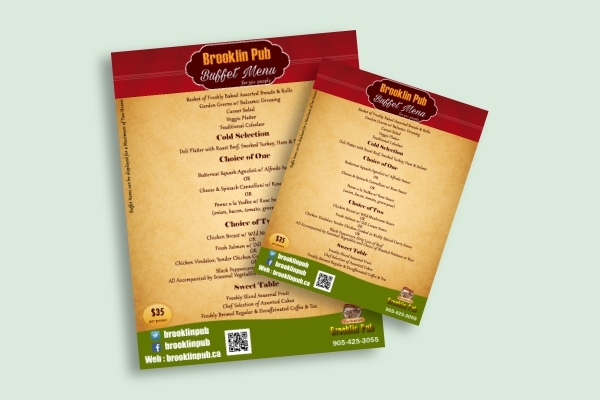 Small-town pubs tend to be more creative with their menu designs by creating a menu card that complements their social atmosphere. Based on the example above, you’ll notice how the layout of the menu resembles a native vibe that has been modernized to keep up with today’s trends. Food items found in the menu even encourage customers to eat like a native, as they down every single dish that was ordered with a huge mug of alcohol. Certain goods, particularly those that are fried or dripped with oil, are best paired with alcohol, which is a great strategy to help you increase the number of orders from each table. It might seem quite odd for a pub to have a buffet option for guests, but times have changed, and buffets are great for celebrating local holidays and gatherings within the establishment. This also allows you to simplify your average menu by listing some of your bestsellers in one full-course lunch or dinner experience. A buffet menu might come in handy for clients who plan to rent the entire pub for an exclusive party as well. This will provide them with the information they need to decide whether hosting a party at the pub would be a wise idea or not. If you serve sit-down and preordered meals apart from your buffet selection, make sure to separate the two so as not to overwhelm customers with a lengthy list of food and beverage options. After all, one of the aims of designing a menu is to hasten the ordering process so that the waiting staff can accommodate more customers at a quicker rate. The fast-food, grilled, or deep-fried dishes served at the pub are known as the “grub” in slang terms. These dishes are specially prepared to encourage drinking by increasing one’s appetite and building a heavy feeling that will prompt customers to wash it all down with a cold bottle of beer. Pubs have even expanded through the years by including food items that go beyond the usual finger foods and chicken wings. But because some pubs tend to be loud and crowded with people, you’d want to make it easy for diners to place their orders by emphasizing best-selling items on your menu. Design elements such as colors and patterns are often favorable in terms of drawing attention and leading the eyes to certain menu items. This will also allow you to convey your brand identity for consumers to remember. However, try not to go overboard with your layout design, as creativity can often impact the readability of the material. One of the most notable things about a pub is their clientele. It is usually comprised of locals and regulars who are looking to relax and unwind after a long day at work. Unlike bars and clubs, pubs can also be considered as a restaurant where families and friends can gather to enjoy a wide range of food and drink options. Children are usually allowed at pubs as long as they are accompanied by an adult and are only there to dine. Since it’s illegal and unethical to serve alcohol to minors, it’s best to design your pub menu as you would with a restaurant menu. You can do so by adding a designated section for your alcoholic beverages and party drinks. You can even create a separate beer menu to make it easy for your adult customers to find what they’re looking for. 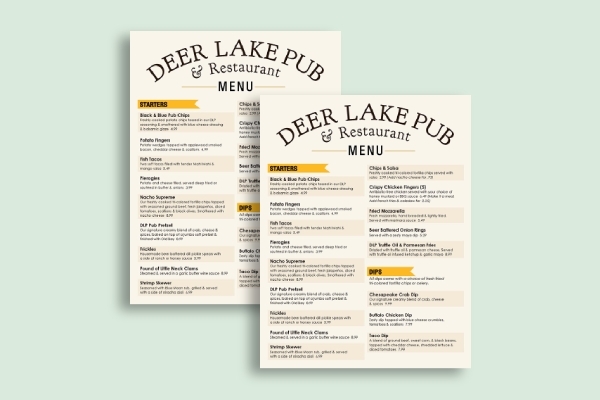 There are different ways to design a menu for your pub business. You can keep it basic with a traditional chalkboard menu, or you can experiment with different menu styles to achieve something unique yet effective. 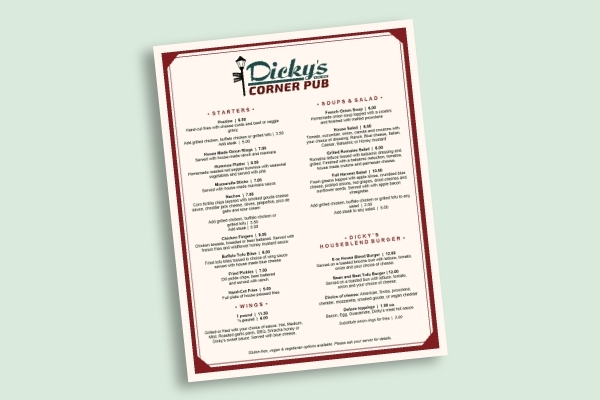 Shown above is the perfect example of a simple pub menu that demonstrates the strategic application of white space to maintain a clean and organized layout. This minimalistic approach will make it easy for customers to decide what they want to order based on the ingredients and price list presented in the menu.